This is a bit of a niche post today but it is something that I do every day, at least 10 times! I vape. 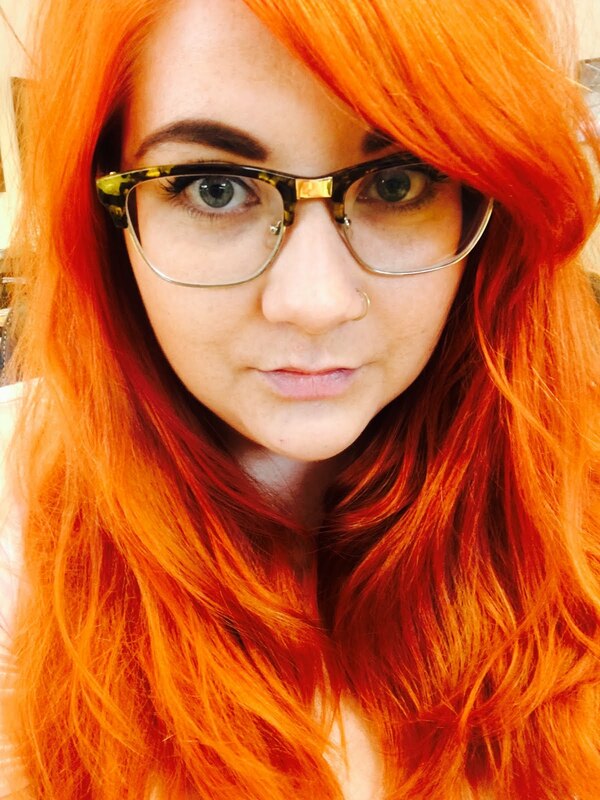 In November of 2014 I decided to call it quits and I smoked my last cigarette. I started smoking due to stress, I worked in a phone shop at the time and EVERYONE who I know in the mobile phone industry smoked, don't ask me why. I have no idea. If I'm entirely honest with you I didn't 'want' to quit, that year I was moving and there was some trouble moving between houses, subsequently I had to move back with my mum for a couple of months. Turns out it was the best thing that ever happened because of her incessant nagging (i'm sure she won't mind me saying) I quit, I moved to vaping and I've not touched a cigarette since. Now a lot of people say vaping isn't quitting but to me it's no different to a nicotine patch or otherwise. I still get to enjoy the 'idea' of smoking without clogging my lungs, standing outside and smelling gross. Whilst on the hunt for more liquids I came across Vape Shoreditch and so very kindly of them they gifted me some bits to tell you about. The box (with the best design work ever) had 3 eliquids and their very own Vape Two Pen. The e-liquids are UK made and come in a range of flavours (20 to be precise), being the total child I am I went straight for bubblegum as well as apple pie and menthol blend (I used to be a menthol smoker, images of Dot Cotton are in your head now aren't they?) The liquids themselves taste incredible, true to the flavour which can be quite rare. When I cracked open apple pie I was hit with a buttery, cinnamon scent that blew me away. The e-liquids are a 50/50 split of VG,PG which I prefer as you get a good throat hit and thick vapour. 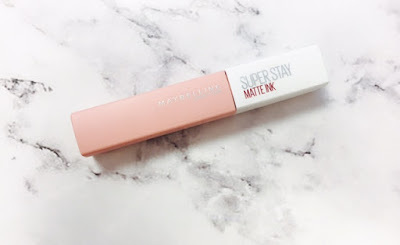 They come in 10 ml bottles and can be ordered on a subscription service (which is so cool!) They cost £3.33 each or you can get 3 for £9.99. 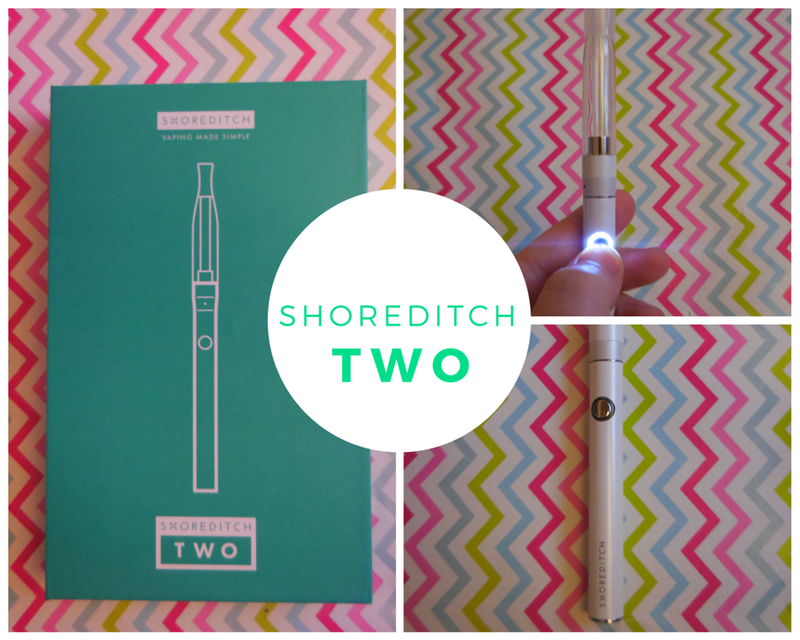 The Vape Two box includes 1 rechargeable 360 mAh battery, a Samsung USB charger, a 1.5ml leak proof tank, and a spare dual coil (as well as the coil already fitted in the pen). MEGA! The finish on the Vape Two is beautiful, it have a white pearlescent finish that looks so sleek. It's 11mm in diameter and only weighs 30 grams. Although slimline the battery packs a punch and allows for a really full hit. The tank is slimline, simple and easy to fill and due to it being completely clear you can see exactly how much liquid you have left. The coils are small and easy to fit and they made with organic japanese cotton. The battery comes with a years warranty which I respect massively as a lot of companies don't do this and it reassures you of the great quality you're receiving. The kit itself comes in really reasonable at only £19.99. All in all I think this is a great kit from a great company. 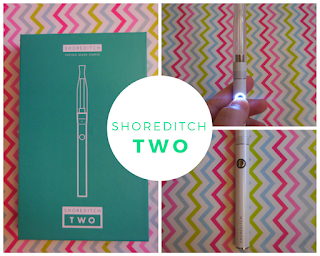 I had a little play on the website and you can get your Vape Two, with 3 e-liquids and a pack of coils for £36.97 which is less than some similar spec Vape pen's cost ALONE. If you are a beginner to vaping (and please only vape as an alternative to smoking don't vape if you don't smoke) this is a great kit to get. 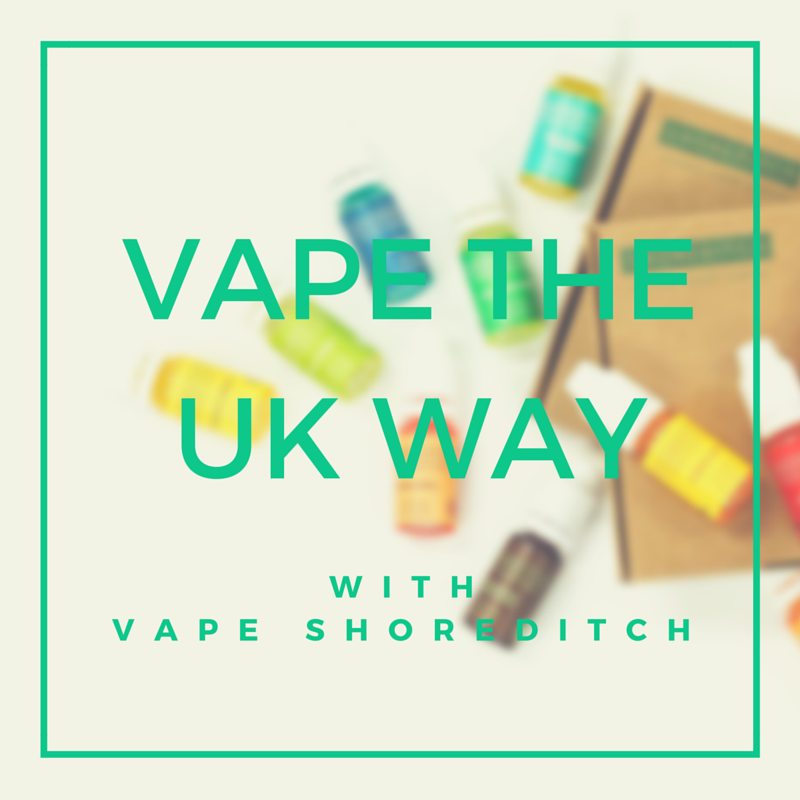 Vaping is a great alternative to smoking and has been is approved by the NHS as a safer alternative to cigarettes. 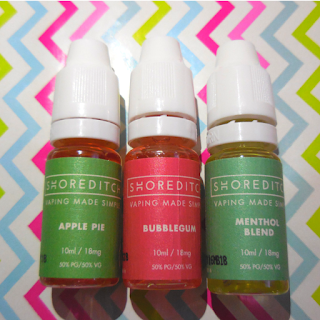 Also on your first order with Vape Shoreditch you can get 4, 10ml e-liquids for £2.99 using code GETVAPING299. You quite literally have nothing to lose.